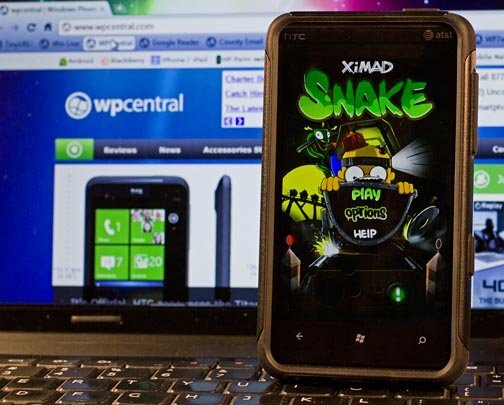 XIMAD is offering Snake over at the Windows Phone Marketplace with is yet another variation of the classic snake game. 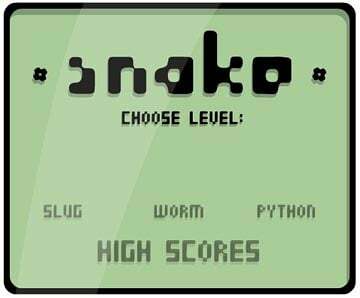 The game of snake has gone a long way since the days of the monochrome version that was on so many Nokia bar phones. The game premise hasn't changed a bit. 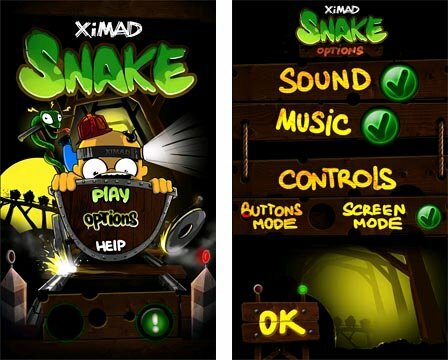 You guide your snake around the screen collecting gems and artifacts while avoiding obstacles. The game has two modes, Arcade and Challenge. The Arcade Mode has you score points to work your way through multiple levels. Each level has a required number of gems to collect in order to advance to the next level. The further you advance, the more challenging the levels become. The Challenge Mode is more of a free-style game that has you competing for a high score. The more gems you collect, the longer the snake becomes. The longer your snake becomes, the more challenging maneuvers become. You can control the snake by one of two methods. You can have Buttons Mode where virtual button appear at the bottom of the screen. You also have the Screen Mode that allows you to steer your snake by tapping on the screen in the direction you want the snake to turn. I found the Screen Mode to work the best. The buttons had a tendency to put your fingers in the way as you steer your snake around the bottom of the screen. As you collect gems, you will also find artifacts or bonus items that will turn you into a ghost with the ability to crawl through obstacles, speed up, slow down, and other bonus abilities. The graphics are nice, game play challenging and well representative of the original. Snake is a good game to pass the time and, all in all, XIMAD did a nice job of putting a new twist on the game of snake. 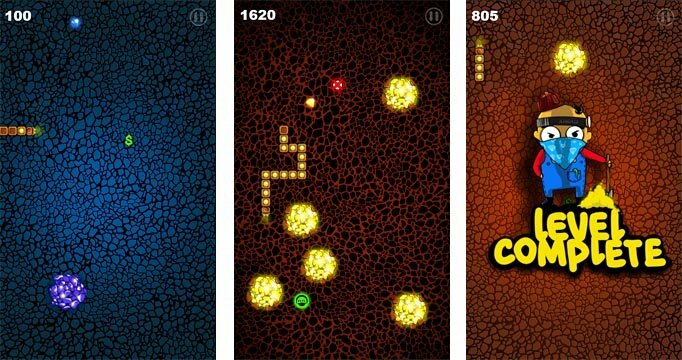 If your a fan of the snake genre, Snake will be a nice addition to your gaming library. If you're looking for a nice game to pass the time with, Snake will fit that bill as well. The one downside to the game is that there is not a trial version available for Snake. The full version is running $1.29 and you can find it here (opens Zune) over at the Marketplace.